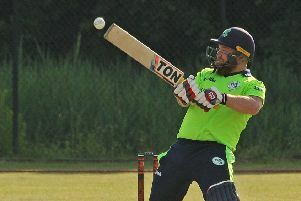 A Waringstown return for batsman David Dawson, a fresh blow for Instonians and a busy period of activity for North Down are among the headline-grabbing moves in the latest NCU transfer list. Dawson is back at The Lawn after spending just a solitary season at neighbours Donacloney Mill. It is believed the villagers tried to lure him back to Waringstown in the middle of last summer as they fought on a series of fronts but he opted to see out the season with the Section One club. Donacloney Mill have also lost the services of Luke Allison, the youngster’s signing one of the moves made by North Down over a productive winter. Allison, who toured South Africa with the NCU Andrew White Academy a year ago, has already been joined at Comber by wicketkeeper Jamie Magowan. Muckamore have lost the services of Magowan, the Northern Knights player, with North Down making another attempt to fill the void left by former skipper and wicketkeeper Peter Shields, who stepped down from senior cricket several seasons ago. 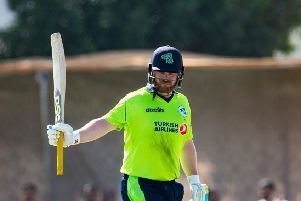 North Down have also seen two players leave The Green with glove-man Jay Hunter moving to Cregagh and seamer Mike Grossett returning to Bangor after a season in the Premier League. Marty Moreland, the veteran spinner, has retired from senior cricket. Muckamore, who have already announced the arrival of Karthik Rajavelu from CIYMS and Marcus O’Riordan of Cork extraction, are believed to be targeting further reinforcements, with a move for Armagh batsman Jamie Rodgers in the pipeline. Ashwin Shetty has also left Moylena to return to Carrickfergus. The latest transfer list includes a significant blow for Instonians with Stephen Bunting, the left-arm seam bowler, leaving Shaw’s Bridge to return to Woodvale after five seasons. Bunting has had two spells with Instonians, and is now returning to Woodvale for the third time. However, Instonians have said Shane Getkate, the subject of interest from other clubs, will definitely be staying at Shaw’s Bridge for the 201 season.